My present research focuses on aspects of functional morphology in teleost fishes with regard to the structure-function relationships of otoliths, inner ears, accessory auditory structures and hearing abilities. I am mainly interested in the questions of whether adaptations to extreme environmental conditions affect otolith structure and if hearing specializations are traceable in otolith morphology. • Effects of hybridization on otolith morphology. • Effects of extreme environments on otolith morphology. • Studies on the taxonomic value of otoliths with applications to the fossil record. • Visualization of otolith motion in-situ using Synchrotron-based X-rays at the ESRF (Grenoble; project LS-2539). • Advanced modeling of complex otolith motion in the fish inner ear in cooperation with Prof. Dr. Petr Krysl (University of California, San Diego, CA) funded by BaCaTec. • Structure-function relationship of inner ear and swim bladder morphology and hearing abilities in Asian and African cichlids (Perciformes, Cichlidae). • Otolith microstructure of cave- and surface-dwelling ecotypes of Poecilia mexicana. • Cyprinodontiform taxa: Poeciliidae, Cyprinodontidae. • Fossil and extant cyprinids. Schulz-Mirbach, T., Ladich, F. 2016. Diversity of inner ears in fishes: Possible contribution towards hearing improvements and evolutionary considerations. In: Fish Hearing and Bioacoustics - An Anthology in Honour of Arthur N Popper and Richard R Fay. Edited by Sisneros, J.A. New York: Springer, 341-391. Schulz-Mirbach, T., Eifert, C., Riesch, R., Famworth, M.S., Zimmer, C., Bierbach, D., Klaus, S., Tobler, M., Streit, B., Indy, J.R., Arias-Rodriguez, L. & Plath, M 2016. Toxic hydrogen shapes brain anatomy: a comparative study of sulphide-adapted ecotypes in the Poecilia mexicana complex. Journal of Zoology 300: 163-176. Ladich, F. & Schulz-Mirbach, T. 2016: Diversity in Fish Auditory Systems: One of the Riddles of Sensory Biology. Frontiers in Ecology and Evolution 4:28. Eifert, C., Famworth, M., Schulz-Mirbach, T., Riesch, R., Bierbach, D., Klaus, S., Wurster, A., Tobler, M., Streit, B., Indy, J.R., Arias-Rodriguez, L. & Plath, M. 2015. Brain size variation in extremophile fish: local adaptation vs. phenotypic plasticity. Journal of Zoology 295(2):143-153. Schulz-Mirbach, T., Ladich, F., Plath, M., Metscher, B.D. & Heß, M. 2014. Are accessory hearing structures linked to inner ear morphology? Insights from 3D orientation patterns of ciliary bundles in three cichlid species. Frontiers in Zoology 11:25. Schulz-Mirbach, T., Heß, M. & Metscher B.D. 2013. Sensory epithelia of the fish inner ear in 3D: studied with high-resolution contrast enhanced microCT. Frontiers in Zoology 10:63. Schulz-Mirbach, T., Heß, M., Metscher, B.D. & Ladich, F. 2013. 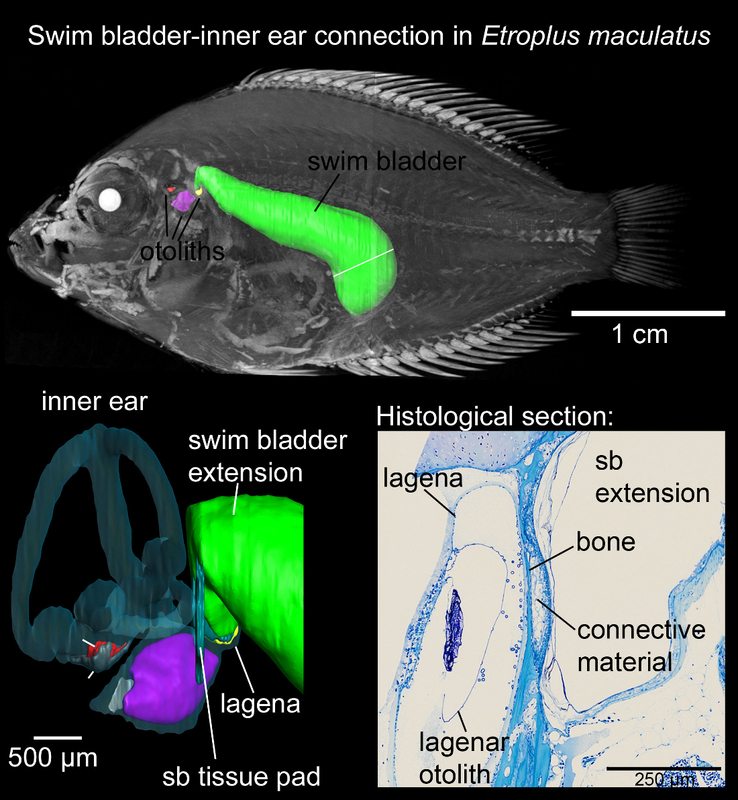 A unique swim bladder-inner ear connection in a teleost fish revealed by a combined high-resolution microCT and 3D histological study. BMC Biology 11:75. Schulz-Mirbach, T., Götz, A., Griesshaber, E., Plath, M. & Schmahl, W.W. 2013. Texture and nano-scale internal microstructure of otoliths in the Atlantic molly, Poecilia mexicana: A high-resolution EBSD study. Micron 51, 60-69. Ladich, F. & Schulz-Mirbach, T. 2013. Hearing in Cichlid Fishes under Noise Conditions. PLoS ONE 8(2), e57588. Gholami, Z., Teimori, A., Esmaeili, H.R., Schulz-Mirbach, T. & Reichenbacher, B. 2013. Scale surface microstructure and scale size indices reflect intra- and interspecific variability in three endemic species of Aphanius (Cyprinodontidae, Teleostei) from Iran. Zootaxa 3619(4), 467-490. Schulz-Mirbach, T. & Plath, M. 2012. All good things come in threes — species delimitation through shape analysis of saccular, lagenar and utricular otoliths. Marine and Freshwater Research 63(10), 934-940. Schulz-Mirbach, T., Metscher, B.D. & Ladich, F. 2012. Relationship between swim bladder morphology and hearing abilities. – A case study on Asian and African. PLoS ONE 7(8), e42292. Teimori, A., Schulz-Mirbach, T., Esmaeili, H.R. & Reichenbacher, B. 2012. Geographic differentiation of morphological traits of fish and otolith: A case study of Aphanius dispar populations (Teleostei: Cyprinodontidae) from Southern Iran. Journal of Zoological Systematics and Evolutionary Research 50(4), 289-304. 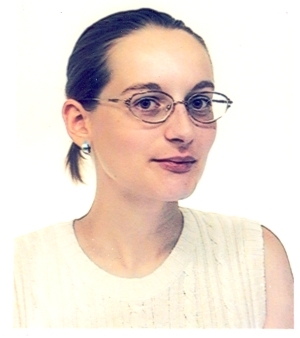 Schulz-Mirbach, T., Heß, M. & Plath, M. 2011. Inner ear morphology in the Atlantic Molly, Poecilia mexicana – First detailed microanatomical study of the inner ear of a cyprinodontiform species. PLoS ONE 6(11): e27734. doi:10.1371/journal.pone.0027734. Schulz-Mirbach, T., Riesch, R., García de León, F.J. & Plath, M. 2011. Effects of extreme habitat conditions on otolith morphology – a case study on extremophile livebearing fishes (Poecilia mexicana, P. sulphuraria). Zoology 114: 321-334. Schulz-Mirbach, T., Ladich, F., Riesch, R. & Plath, M. 2010. Otolith morphology and hearing abilities in cave- and surface-dwelling ecotypes of the Atlantic molly, Poecilia mexicana (Teleostei: Poeciliidae). Hearing Research DOI:10.1016/j.heares.2010.04.001 (in press). Schneider, S., Fürsich F.T., Schulz-Mirbach, T. & Werner, W. 2010. Ecophenotypic plasticity versus evolutionary trends – Morphological variability in Upper Jurassic bivalve shells from Portugal. Acta Palaeontologica Polonica DOI: 10.4202/app.2009.0062 (in press). Tobler, M., Riesch, R., Tobler, C., Schulz-Mirbach, T. & Plath, M. 2009. Natural and sexual selection against immigrants maintains population differentiation. Journal of Evolutionary Biology 22: 2298-2304. Riesch, R., Duwe, V., Herrmann, N., Padur, L., Ramm, A., Scharnweber, K., Schulte, M., Schulz-Mirbach, T., Ziege, M. & Plath, M. 2009. Variation along the shy – bold continuum in extremophile fishes (Poecilia mexicana, Poecilia sulphuraria). Behavioral Ecology and Sociobiology, 63: 1515-1526. Reichenbacher, B., Feulner, G. & Schulz-Mirbach, T. 2009. Geographic variation in otolith morphology among freshwater populations of Aphanius dispar (Teleostei, Cyprinodontiformes) from the southeastern Arabian Peninsula. Journal of Morphology, 270: 469-484. Schulz-Mirbach, T. & Reichenbacher, B. 2008. Fossil Aphanius (Teleostei, Cyprinodontiformes) from southwestern Anatolia (Turkey): A contribution to the evolutionary history of a hotspot of freshwater biodiversity. Geodiversitas, 30(3): 5‑20. Schulz-Mirbach, T., Scherb, H. & Reichenbacher, B. 2008. Are hybridization and polyploidization phenomena detectable in the fossil record? – A case study on otoliths of a natural hybrid, Poecilia formosa (Teleostei: Poeciliidae). Neues Jahrbuch für Geologie und Paläontologie, Abhandlungen, 249(2): 223-238. Schulz-Mirbach, T., Stransky, C., Schlickeisen, J. & Reichenbacher, B. 2008. 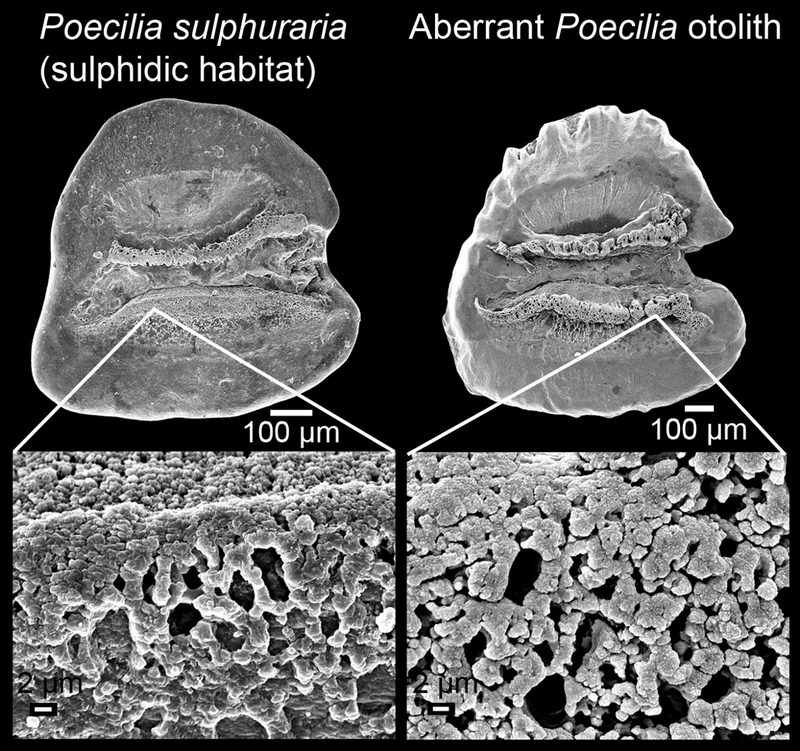 Differences in otolith morphologies between surface- and cave-dwelling populations of Poecilia mexicana (Teleostei, Poeciliidae) reflect adaptations to life in an extreme habitat. Evolutionary Ecology Research, 10: 537-558. Jost, J., Kälin, D., Schulz-Mirbach, T. & Reichenbacher, B. 2007. Late Early Miocene lake deposits near Mauensee, central Switzerland: fish fauna (otoliths, teeth), accompanying biota and palaeoecology. Eclogae Geologicae Helveticae, 99: 309‑326. Schulz-Mirbach, T. & Reichenbacher, B. 2006. Reconstruction of Oligocene and Neogene freshwater fish faunas – an actualistic study on cypriniform otoliths. Acta Palaeontologica Polonica, 51(2): 283-304. Schulz-Mirbach, T., Reichenbacher, B., Yildirim, M.Z. & Atalay, M.A. 2006. Otolith characteristics of species, subspecies, and populations of Aphanius Nardo, 1827 (Teleostei, Cyprinodontiformes) from Anatolia (Turkey). Journal of Natural History, 40(27-28): 1687-1705. Schulz-Mirbach, T., Ladich, F., Plath, M. & Heß, M. 2015. Does improved hearing result in altered inner ear morphology? Frontiers in Marine Sciences, Conference Abstract: XV European Congress of Ichthyology, Porto, Portugal, September 2015, doi: 10.3389/conf.fmars.2015.03.00020. Schulz-Mirbach, T., Ladich, F., Plath, M. & Heß, M. (2015): The role of otolith size in hearing – Insights from cichlid fishes. Frontiers in Marine Sciences, Conference Abstract: XV European Congress of Ichthyology, Porto, Portugal, September 2015, doi: 10.3389/conf.fmars.2015.03.00034. Schulz-Mirbach, T. & Ladich, F. (2015): Diversity in swim bladder morphology affects hearing in cichlid fishes. XXV Meeting of the International Bioacoustics Council, Murnau, Germany, September 2015, 139. Schulz-Mirbach, T., Ladich, F., Plath, M. & Heß, M. 2014. What do we know about otolith function in hearing? – Insights from cichlids and livebearing fish. 5th International Otolith Symposium, Peguera, Mallorca, Spain, October 2009, 95-96. Huemer, K., Kolmhofer, P., Schulz-Mirbach, T. & Hild, S. (2014): Determination of aragonite-orientations within earstones of the extremophile fish Poecilia mexicana by Raman spectroscopy. XXIV International Conference on Raman Spectroscopy, Jena, Germany, August 2014. Schulz-Mirbach, T., Metscher, B.D., Heß, M. & Ladich, F. 2013. Do swim bladder specializations in cichlids correlate with modified inner ear morphology? 50 Years of Underwater Bioacoustics, Sarasota, FL, U.S.A, May 2013. Schulz-Mirbach, T., Metscher, B. & Ladich, F. 2012. How does swim bladder morphology affect hearing abilities? A case study on Asian and African cichlids. 14th European Congress of Ichthyology, Liège, Belgium, July 2012, 202. Schulz-Mirbach, T., Ladich, F., Heß, M. & Plath, M. 2012. Microanatomy of the inner ear and hearing abilities in a cyprinodontiform fish. 14th European Congress of Ichthyology, Liège, Belgium, July 2012, 201. Schulz-Mirbach, T., Ladich, F. & Metscher, B. 2012. Structure-function relationship of inner ear and swim bladder morphology and hearing abilities in Asian and African cichlids. Cichlid Science Meeting, Leuven, Belgium, September 2012. Schulz-Mirbach, T., Ladich, F., Heß, M. & Plath, M. 2011. Inner ear morphology and hearing abilities in a cave-dwelling form of the Atlantic molly, Poecilia mexicana (Teleostei; Poeciliidae). XXIII meeting of the International Bioacoustics Council, La Rochelle, France, September 2011, 143. Schulz-Mirbach, T., Griesshaber, E., Götz, A., Plath, M. & Schmahl W. W. 2010. Texture and microstructure of otoliths from cave- and surface-dwelling fish: a high resolution EBSD study. Zitteliana B 29, 95. Schulz-Mirbach, T., Ladich, F. & Plath, M. 2009. Otolith morphology and hearing abilities in a cave- and a surface-dwelling form of the Atlantic molly (Poecilia mexicana). – 4th International Otolith Symposium: 97; Monterey, CA. Schulz-Mirbach, T., Plath, M. & Ladich, F. 2009a. Do otoliths and hearing abilities differ between cave mollies and their surface-dwelling relatives? – XIII. European Congress of Ichthyology: 35-36; Klaipėda, Lithuania. Schulz-Mirbach, T., Plath, M. & Ladich, F. 2009b. Hearing abilities and otolith morphology in cave- and surface-dwelling populations of the Atlantic molly (Poecilia mexicana). – 7. Tagung der Gesellschaft für Ichthyologie: 29; Hamburg. Griesshaber, E., Schulz-Mirbach, T., Götz, A., Kelm, K., Neuser, R.D. & Schmahl, W.W. 2009. Microscale phase and texture analysis of aragonite and calcite biomaterials: brachiopod shell calcite and fish otoliths. – Annual Meeting 2009 of the Mineralogical Society of Great Britain and Ireland: 127-128; Edinburgh. Schneider, S., Fürsich, F.T., Schulz-Mirbach, T. & Werner, W. 2009. Speciation patterns in bivalves from the Late Jurassic of Portugal – a morphometric approach. – Terra Nostra – Schriften der GeoUnion Alfred Wegener Stiftung 2009/3: 107-108; Bonn. Schulz-Mirbach, T. 2008. Morphological variation in otoliths of Cyprinus carpio Linnaeus, 1758. - Journal of Vertebrate Paleontology 28(3), Suppl. : 138A. Schulz-Mirbach, T. & Reichenbacher, B. 2008a. Influence of hybridization and polyploidy on otolith morphology of a natural hybrid, Poecilia formosa (Teleostei: Poeciliidae). – 6. Tagung der Gesellschaft für Ichthyologie: 55; Munich. Schulz-Mirbach, T. & Reichenbacher, B. 2008b. Hearing in the dark: Changed otolith morphology in a cave-dwelling form of Poecilia mexicana (Teleostei). – Systematics 2008: 132; Göttingen. Reichenbacher, B., Schulz-Mirbach, T. & Klug, S. 2008. Ostariophysan otoliths and their stratigraphic and systematic value. - Journal of Vertebrate Paleontology 28(3), Suppl. : 130A-131A. Reichenbacher, B., Feulner, G. & Schulz-Mirbach, T. 2008a. Intraspecific variation among the killifish Aphanius dispar (Teleostei, Cyprinodontiformes). – Arbeitskreis Wirbeltierpaläontologie, 08. März 2008; Bad Kissingen. Reichenbacher, B., Feulner, G. & Schulz-Mirbach, T. 2008b. Otoliths as indicators of microevolution in freshwater populations of Aphanius dispar (Cyprinodontiformes) from the Arabian Peninsula. – 6. Tagung der Gesellschaft für Ichthyologie: 49; Munich. Schulz-Mirbach, T. & Reichenbacher, B. 2007a. Fourier shape analysis of otoliths of the natural hybrid Poecilia formosa and its parental species P. latipinna and P. mexicana. – XII. European Congress of Ichthyology: 82-83; Cavtat. Schulz-Mirbach, T. & Reichenbacher, B. 2007b. Fourier shape analysis of fossil otoliths from Southwest Anatolia (Turkey). – Wissenschaftliche Mitteilungen des Institutes für Geologie 36: 142-143; Freiberg. Schulz-Mirbach, T., Griesshaber, E., Pettke, T. & Reichenbacher, B. 2007. Does hydrogen sulphide influence the trace element composition of otoliths of the cave molly (Poecilia mexicana)? – XII. European Congress of Ichthyology: 142-143; Cavtat. Schulz-Mirbach, T. & Reichenbacher, B. 2006. Vergleich der Otolithenmerkmale anatolischer Arten, Unterarten und Populationen der Gattung Aphanius Nardo, 1827 (Teleostei, Cyprinodontiformes). – Berichte – Reports des Instituts für Geowissenschaften, Christian-Albrechts-Universität 22: 135-136; Kiel. Schulz-Mirbach, T. & Reichenbacher, B. 2005. Otoliths (sagittae) characters of subspecies and populations – a study on Aphanius spp. (Cyprinodontiformes, Teleostei) from Anatolia (Turkey). – Berichte des Institutes für Erdwissenschaften, Karl-Franzens-Universität Graz 10: 126-127; Graz. Schulz-Mirbach, T. & Reichenbacher, B. 2004a. Untersuchungen an Otolithen (Lapilli) rezenter Karpfenfische und das Ende von „genus Cyprinidarum sp.“ – 7. Jahrestagung der Gesellschaft für Biologische Systematik: 104; Stuttgart. Schulz-Mirbach, T. & Reichenbacher, B. Untersuchungen an Otolithen (Lapilli) rezenter Karpfenfische und das Ende von „genus Cyprinidarum sp.“ – Organisms, Diversity and Evolution 4, Electronic Supplements 6: 105; Frankfurt/M. Schulz-Mirbach, T. & Reichenbacher, B. 2004c. Otolithen (Lapilli) rezenter Karpfenfische als Schlüssel zur Bestimmung fossiler Taxa. – 74. Jahrestagung der Paläontologischen Gesellschaft: 218-219; Göttingen. Böhme, M., Reichenbacher, B. & Schulz-Mirbach, T. 2003. Neogene freshwater fishes from Anatolia – a key for understanding the (palaeo)biogeography of European freshwater fishes. – International Symposium of Fisheries and Zoology: 9-10; Istanbul. 28.01.2014: ‘Evolution und Vielfalt des Hörvermögens und entsprechender Hörstrukturen bei Fischen’, Department of Ecology & Evolution, J. W. Goethe University, invited by Prof. Dr. Martin Plath.